Small sample in Shetland wool… It may become a long-term project. Finally, I undertook a home de-cluttering project – it’s not knitting related but I’m proud of making some progress in tidying things up! I brought donations to local charities and passed on stuff through Freecycle to new homes. I love that things can get new homes and a new life, instead of going to landfill! This entry was posted in knitting and tagged charities, Freecycle, Knitting, Lazy Sunday bag, market bag, projects, recycle, reuse, WIP. not sure it’ll become a real project though… that small sample took a looong time..
Love the chevrons on this shetland yarn sample. they are very trendy. wonder what your next project is going to be . 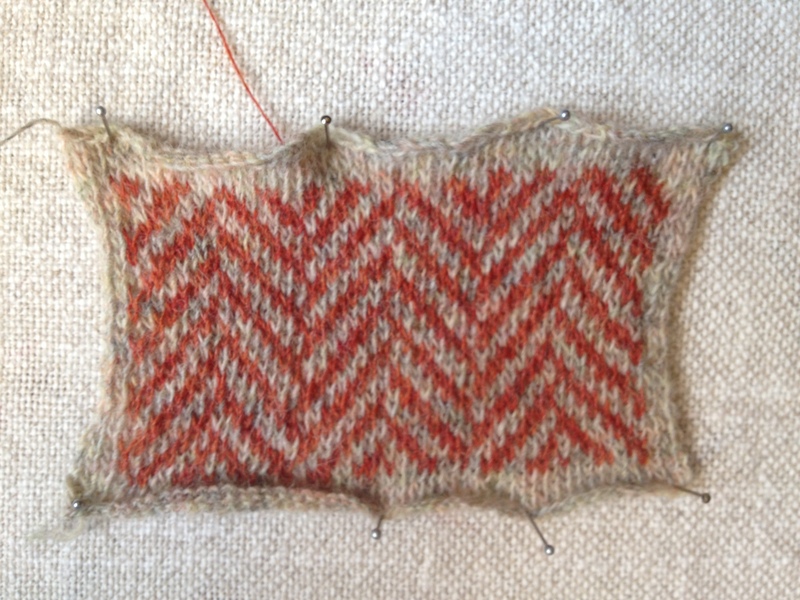 But I have a certain fascination for the herringbone pattern…. Hey Judith, just catching up on your blog after my travels. My oh my, you have been a busy girl! Love your projects, nice colors and you knit so beautiful! Because the thing is so far only living in my phantasy, I will wait to reveal any details to the time (if) when it will become real. As I have plenty of ideas, but am a slow knitter, it not becoming a finished object is a not-so-remote possibility 🙂 ….I wish i could knit faster than my new ideas! !